Made for Retro Rubber Challenge Bog #96 (#rrbc96), this sketch challenge called for a circular element. I went one step further and made it a circular opening with a spinning ornament stamped with an image from the 2009 Stampin' Up! (SU) "Delightful Decorations" stamp set. I used SU Real Red ink and stamped two ornaments using my MISTI so I could stamp multiple times for this solid inked image. It was stamped onto SU Whisper White Thick Cardstock for extra sturdiness. A piece of mono filament fishing line was glued and taped between the two ornaments after they had been punched out with their matching SU "Ornament Punch" from that same era. The card base is SU Garden Green cardstock cut at 8.5"x 5.5", then folded in half in landscape mode. As I put the card together, I realized my choice of pattern paper from Recollections "Festivus" paper pad wasn't the best,,, no matter how I cut it, the pattern runs wonky! I used up a whole 12"x12" sheet trying to get the 5.25"x 3" panel I needed, and it STILL isn't straight! I assembled the card base, the SU Real Red narrower panel, and the patterned paper together using a repositionable tape runner so I knew the pieces we align correctly. Then ran the whole stack (with the card opened up to prevent the card back from getting embossed) through my Big Shot. This thick of a sandwich requires running through multiple times to get all layers to cut. The ornament and it's fishing line was then lined up in the opening and attached to the card base with tape, then the red and patterned papers were glued down on top of the fishing line to hold it in place. Note that since the pattern paper has a dark brown background, the cut edges were brilliant white. I felt that was too distracting, so used a black Sharpie marker and run it around all the edges (including the round diecut hole) before gluing the panels together. 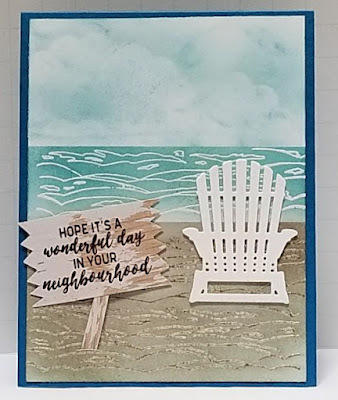 The sentiment is stamped onto a scrap piece of the thick SU Whisper White cardstock using SU Real Red ink, then die cut with the smallest banner from the SU "Banners" diecut set. It was attached to the right side of the card using a piece of adhesive foam strip to raise it above the card surface for added interest. 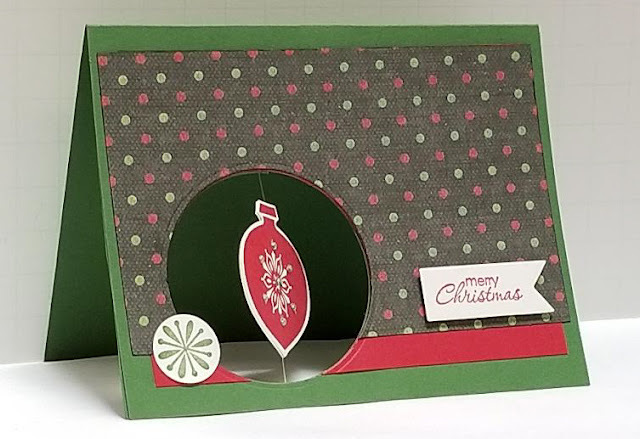 The small circle to the left of the spinner that mimics the star pattern of the ornament was stamped with SU Garden Green ink on another scrap of the thick cardstock. 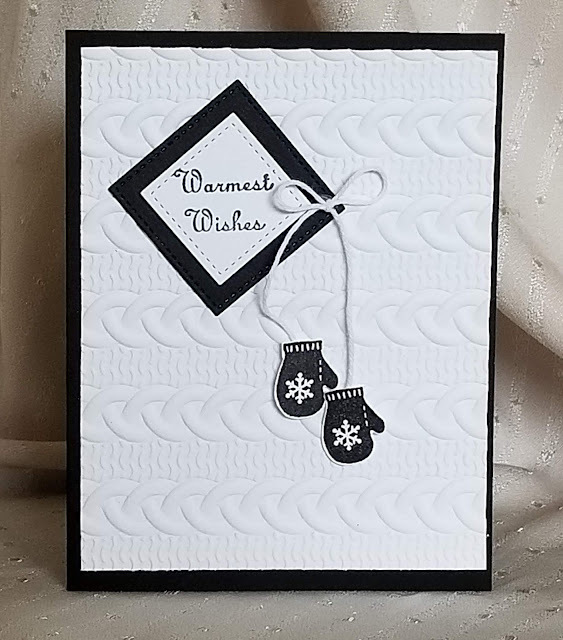 It was punched out with a 3/4" circle punch, then glued to the card front so it overlapped the opening, but not enough to prevent the ornament from spinning. This card isn't difficult, it just takes some attention to the details to get it right. So, I am rating its difficulty level at a "3" out of a possible "5". Donna, this is such a clever interpretation of the sketch. I love that you've made it an opening with a spinner. And you've used really retro stamps to do it. Fabulous work! Thank you for joining us at Retro Rubber Challenge with this little beauty. Love your spinner card! I love the paper and how you incorporated this card into the sketch. Thanks for playing along with Retro Rubber. How snazzy is this! I haven't tried one of these for a while....it's perfect for our sketch, too! Thanks for playing with the Retro Rubber sketch this week! Wow! 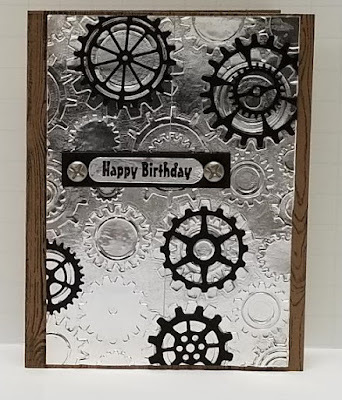 What a great use of the sketch, I love moving cards! Thanks for joining us at Retro Rubber!